If it’s such a good idea, why don’t more people use it? What’s The Problem With Online Movie Ticket Sales? If you and I are not automatically thinking “I should buy that movie ticket online”, then clearly something has gone wrong here. What’s up with that? Once upon a time in the U.S. there was only one set of product managers who had to worry about online movie ticket sales and they worked for Fandango. Online movie ticket sales have been around for roughly 15 years. However, currently only 13% of the 1.3 billion movie tickets that were purchased in the U.S. last year were bought online. That’s nothing to put on your product manager resume. What makes this small number so very interesting is that we really don’t have any problems purchasing tickets online anymore. In fact, when it comes to concerts and other live events (think sports), going online and buying our tickets there feels very natural. If these product managers can convince more people to purchase their tickets online, then they stand to make a lot of money. Online tickets generally come with an additional convenience fee of between US$1 and US$1.50. In all honesty, it’s this extra fee that turns me off from buying my movie tickets online. There is a lot of value in selling movie tickets online. Online sales better help the movie studios manage what films are being shown where and when. 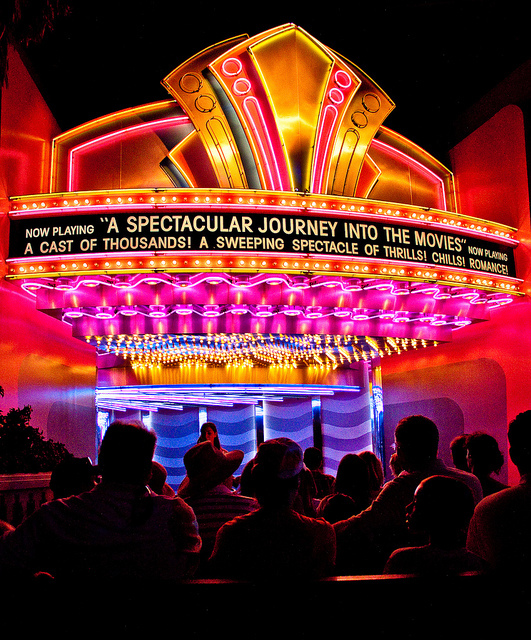 Additionally, when someone buys a ticket online, the studios have a chance to determine the characteristics of the person who is buying a ticket to see this movie and they can also tell how often this person buys tickets. This opens up a world of direct marketing opportunities that have never been available to the people who make movies before. Based on the numbers that are available, not enough people are currently choosing to purchase their tickets online. The product managers know that something has to be done about this. Part of the reason for this industry’s slow growth has been the simple fact that there has only been one player: Fandango. The good news for everyone involved is that this is starting to change. Fandango has had exclusive agreements with the major theater operators to sell tickets to the movies being shown in their theaters for many years. The theater owners are now starting to sign up other firms to sell their tickets in addition to Fandango. It turns out that Fandango is not all that upset about losing their exclusive relationship. It was costing them a lot of money in terms of fees paid to the theaters to maintain that relationship. Now that it’s ending, they can keep more of the service fee that gets paid for every ticket bought. How theaters are organized is also starting to change. More and more theaters are starting to have “reserved seating”. These tickets can only be purchased online. When a popular film is released, there is the very real chance that a given showing is going to be sold out. By purchasing their tickets online, moviegoers can ensure that they’ll get the tickets that they want. Product managers also have to realize that their product has a real appeal to parents who are already overloaded. There is a need for their product, they just need to find out how to get more people to need it. Product managers who are responsible for services that sell movie tickets online have a real challenge on their hands. Their service has been around for over 15 years and yet they currently only have 13% of the movie ticket markets. Something is going to have to change with their product manager job description. The market for online ticket sales has been owned by one company for a long time: Fandango. Their exclusive agreements with theater operators has shut the door to other firms. However, this is changing. New companies are showing up and Fandango is ok with this because they want to earn more from each sale. The product does serve a purpose for hard to get tickets and customers who want less hassle. The product managers just need this product more popular. The good news for these product managers is that most of us are already used to buying tickets online – that’s how we fly. However, we still don’t see buying movie tickets this way. With a little luck, they’ll be able to convince us that it’s actually easier to buy tickets online than at the theater. If they can do this, then they will own the market! Question For You: Do you think that online movie ticket sales product managers should make buying a ticket at the theater harder to do? As product managers the one thing that we’d all like is to manage a product that everyone already knows. In fact, if the product was a part of the popular culture that would be even better. However, if you were selected to be a product manager for the soft drink maker Coke, you might want to pause for just a moment. As people globally start to become more health conscious, sales of Coke products are slowing down. Would this really be a product that you’d want to be managing?